The last thing a person suffering from an inflammatory, itchy skin condition needs to hear is "why can't you just stop scratching". Unless someone walks in his/her shoes there is no concept of what this type of itch is like. According to The Eczema Cure Clinic, the main reason why mainstream medicine is failing people with these conditions is because they are only dealing with the symptoms rather than looking at the underlying cause of the problem. Aiming to control the symptoms, knowing full well that is only temporary, is the best they can do. Patients are aware that long term use of steroids, topically or prednisone, have serious side effects. But when a person's quality of life is compromised, he or she will grab at anything for relief. Usually by the time someone seeks out alternative remedies, it is because they are frustrated with conventional treatment. Please be aware that I am making no claims that any of these products are a cure for any medical condition. They are a result of information gathered on the benefits of various plants and home remedies. They have not been tested by the FDA therefore have no studies attached to their use, only feedback from people who have tried them. I have no way of predicting how individual cases will react to use of a particular product, so please apply to a test spot before regular use. Please read the ingredient list and be aware of known allergies. There are many herbal salves claiming to help with these conditions. Too often, though they will help clear the skin rash and heal damage done by scratching, unless the itch can be controlled, the cycle will repeat itself. Skin can literally be scratched to bleeding and the itch still works its way through the pain of what is now wound care, which puts one at the risk of infection on top of everything else. This salve is an aid for some relief. We also have a topical spray that can help with the itch. A combination of vegetable glycerin and witch hazel, this blend helps calm down that first tingle while helping to hold in moisture. The plant world supplies a variety of herbs known for helping with inflammation and healing of damaged tissue. Having herbs that also have antibacterial properties is very beneficial, because open sores are always at risk for secondary bacterial infections. Infections of any kind stress the immune system, so if we can calm down the skin, it puts less stress on the body, physically and mentally. For this healing salve we utilize six of these valuable plants. 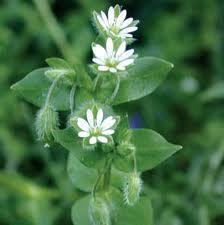 Chickweed is often used fresh as a poultice for any sort of skin inflammation, rash, eye irritation due to allergies, or aid to draw out infection. This cooling plant absorbs the heat while reducing the itch, swelling and inflammation. Comfrey has the reputation of being a living medicine chest. This herb was known as the plant that can join back together what has come apart, be it broken bones or tissue repair. 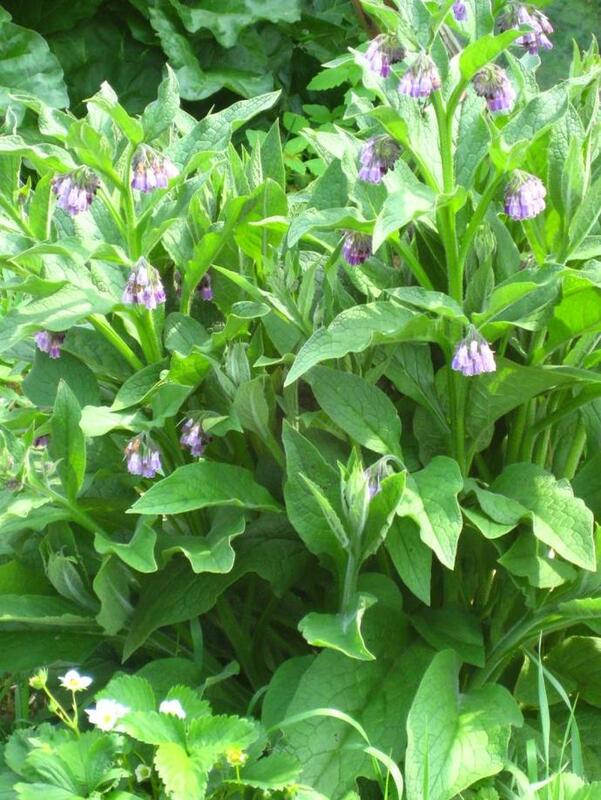 Known for its allantoin content, comfrey stimulates and accelerates tissue repair. Known as a wound herb, Calendula is an anti-inflammatory and helps prevent the formation of scar tissue. It is good for wounds that are healing poorly and soothing for skin rash. 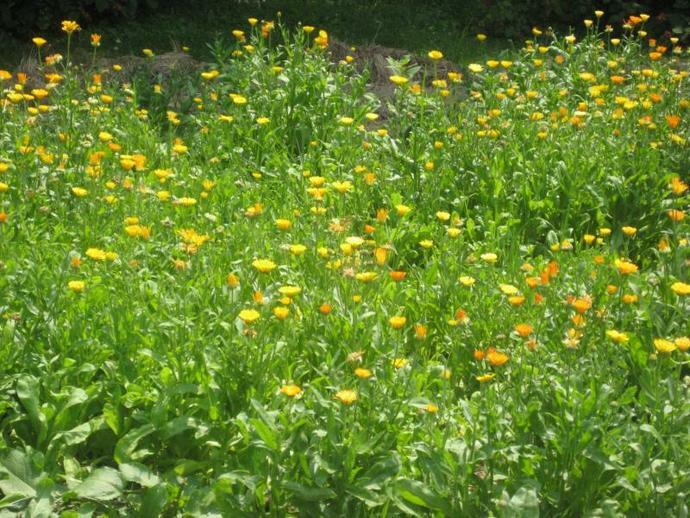 Stimulating to the body's lymphatic system, calendula helps the functioning of the immune system to fight infection. 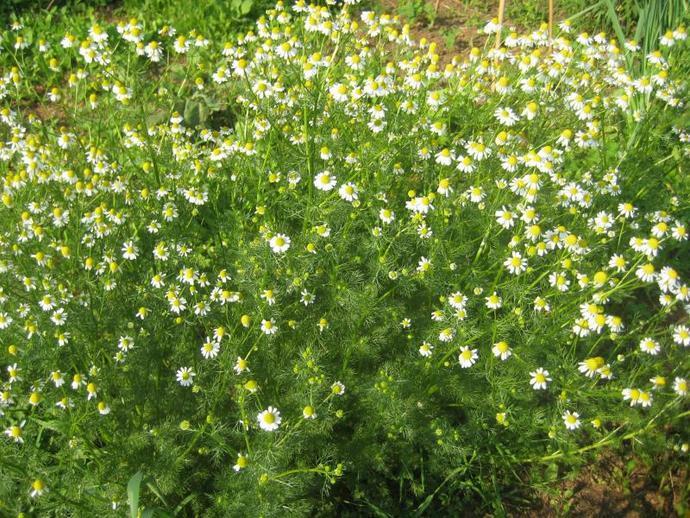 So popular as a nerve relaxant for anxiety, Chamomile is very well known for its amazing qualities to calm down inflamed skin conditions and help the body heal. 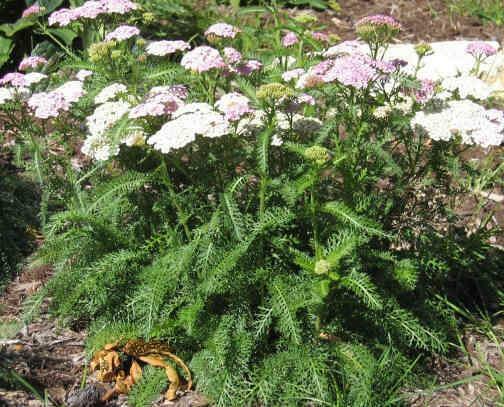 The white wildflower, Yarrow, is the type to seek for its medicinal benefits. A powerful wound healer, yarrow is a perfect first-aid remedy not only for its antiseptic properties but being a styptic, it helps stop bleeding. 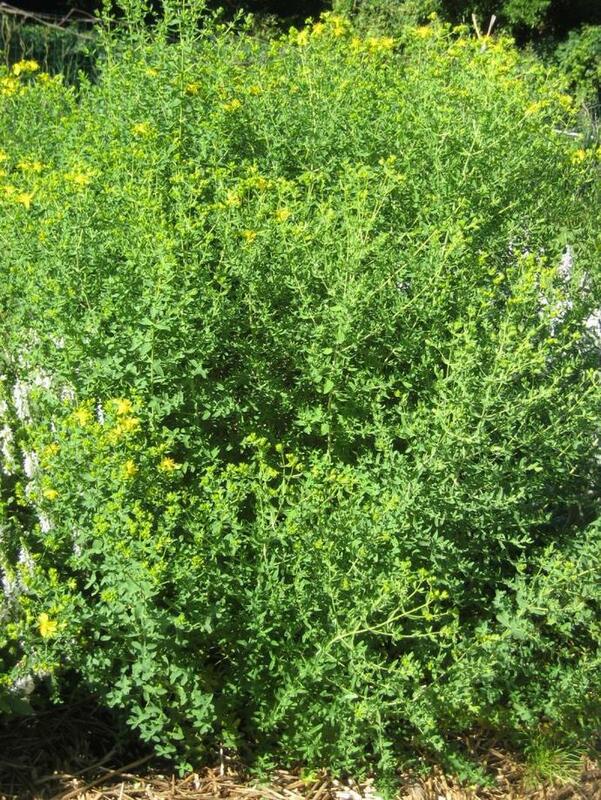 St. Johnswort is a beloved herb sought after for its yellow flowers. Hypericin, what gives this herbal oil a delightful red color, is a compound containing anti-inflammatory, anti-viral, and anti-bacterial benefits. St. Johnswort helps you recover when your nerves are inflamed or damaged because this herb is a nervous system relaxant. Ever popular Coconut oil works beneath the skin to heal on a cellular level by regenerating new cells. Besides its antifungal and antibacterial properties, coconut oil is wonderful for dry skin needing moisture. In treating eczema and psoriasis, it is beneficial that the skin be kept moist and Castor oil helps to do just that. Being antibacterial, antiviral, anti-fungal, anti-inflammatory, it is obviously a good addition for this salve. 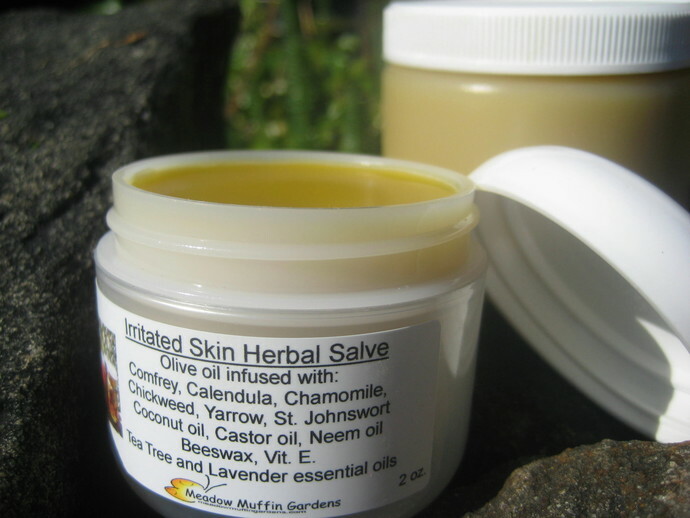 Over the counter and prescription lotions and salves are often petroleum based products. Mineral oil and petroleum jelly do moisturize and form a barrier but they can clog the pores and prevent air from reaching the skin. Much better for the skin are oils that offer nutritional benefits as well. 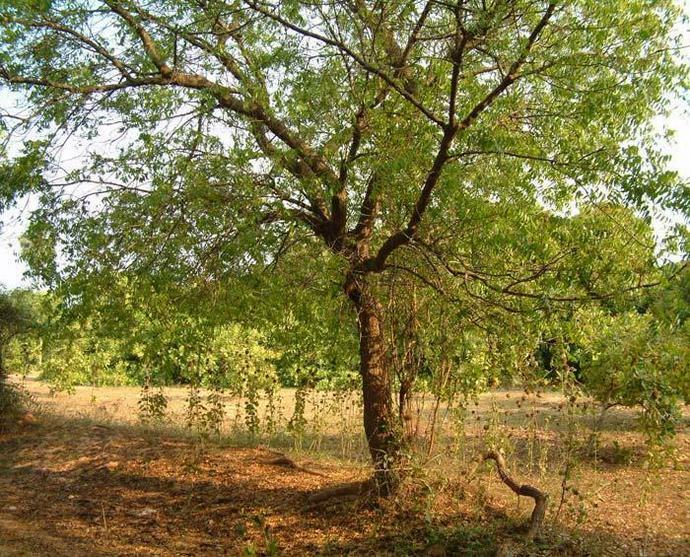 Used in India and Pakistan for thousands of years, Neem oil is a key ingredient. Extracted from the fruits and seeds of the Neem tree, its thick oil is highly moisturizing and provides relief from pain and itch, and help with healing. Tea tree and Lavender essential oils are added for their "medicine in a bottle" infection fighting and healing properties. According to OrganicFacts.net, psoriasis and dermatitis can be helped by taking cod liver oil. It is believed by the medical community that EPA (eicosapentaenoic acid), which is an omega-3 fatty acid present in fish oil, restricts the growth of inflammatory-inducing agents that can cause psoriasis.